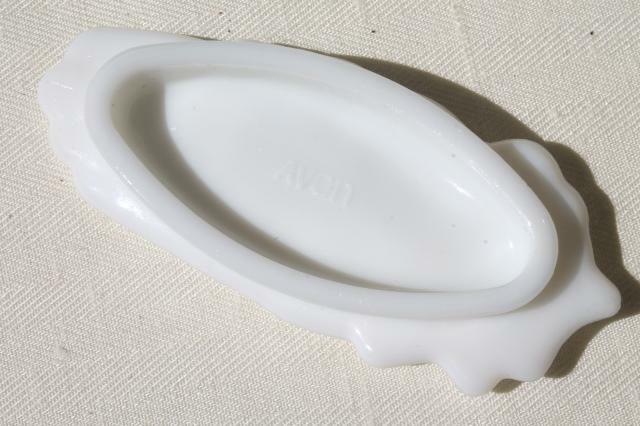 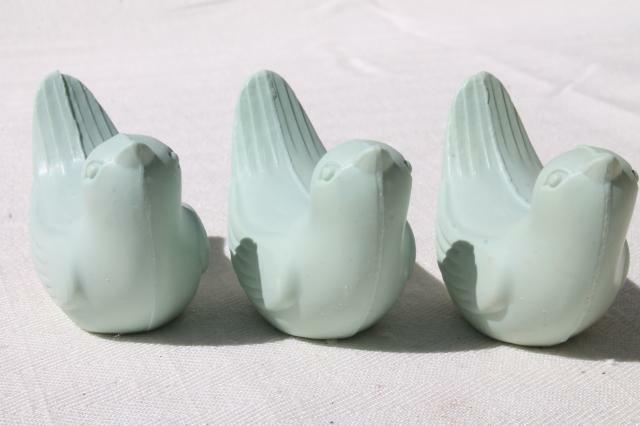 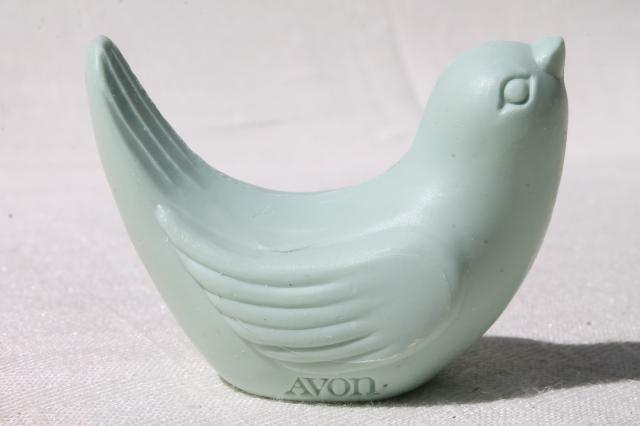 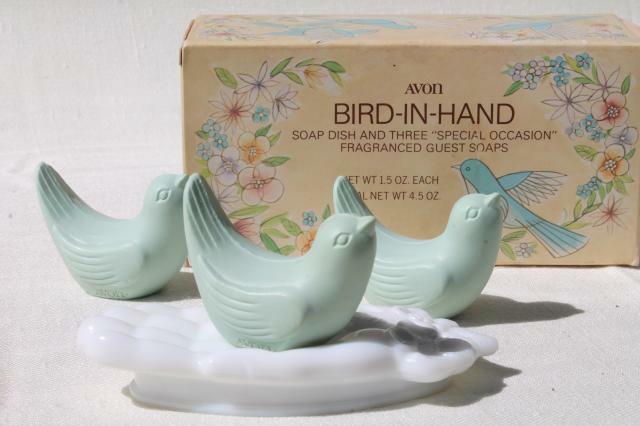 Vintage Avon Bird in Hand guest soap set, with three little blue bird soaps about 2 1/2" long. 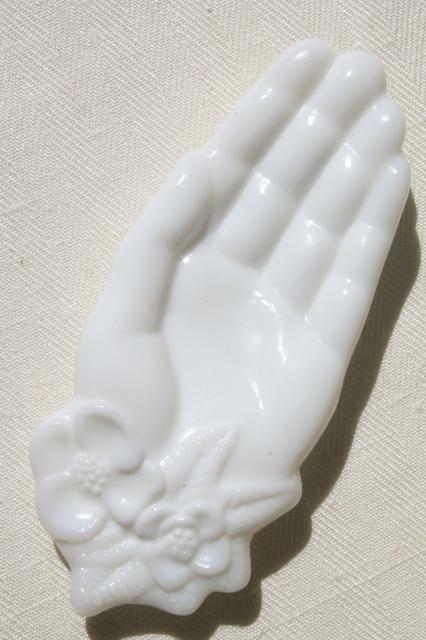 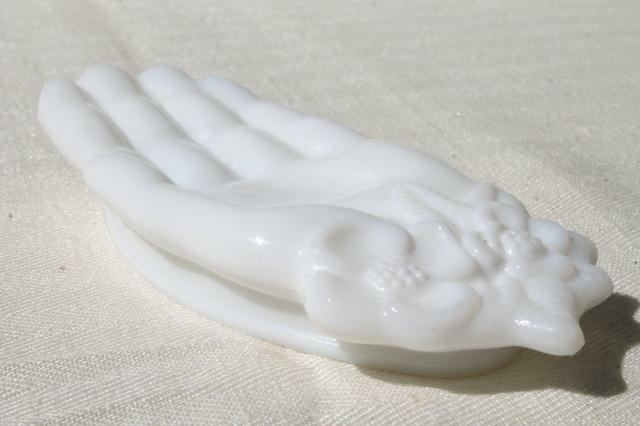 These all fit on the ladies hand shaped milk glass soapdish, about 5" long overall. 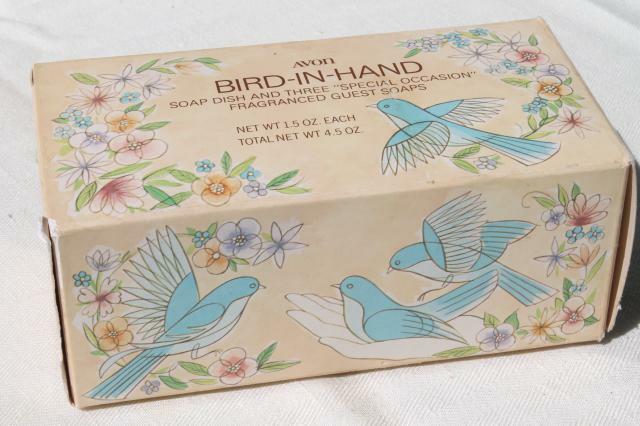 The box has some slight wear and yellowing, but the contents are in excellent condition, never used.